Nestled in a charming setting overlooking serene Cazenovia Creek, Reed Hill Heights offers a new standard of luxury within walking distance of the idyllic, small town charm of the Village of East Aurora. 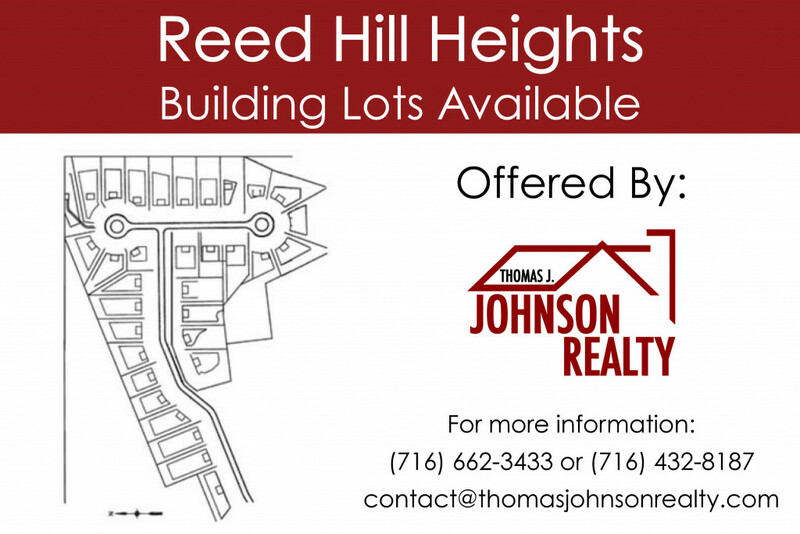 Reed Hill Heights is an upscale community with only 33 homesites available. Starting with ranch-style homes of 2200 square feet and two-story homes of 2600 square feet, Thomas Johnson Homes will spearhead the construction of a variety of interesting, architecturally-diverse single-family homes. Deed restrictions will govern land use and architectural/construction requirements, which are subject to the developer’s approval, in an effort to maximize real estate value and foster a sense of community.